Ideas, connections and curiosity. It’s TEDxEdina 2018. 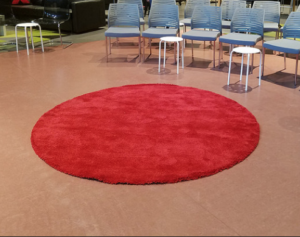 Now in its 3rd year, TEDxEdina 2018 will bring our community together for a day-long experience on Saturday, October 13, for sharing of new ideas, lively conversation, and newfound inspiration. A remarkable slate of 14 speakers are lined up to share a wide spectrum of topics, from a look at the youth sports culture and innovation in solving world hunger to the national opioid crisis and the important role of human connections. Each TEDxEdina 2018 speaker will bring fresh ideas to spark inspiration and curiosity for the audience. From now until October 13, 2018, we’ll be featuring our speakers so you can get to know them a little better. Check back frequently and start thinking about what you want to ask these incredible thinkers.